We provide towbar fitting services for all vehicle makes and models. 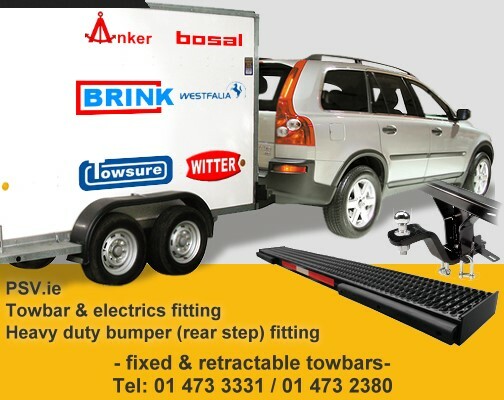 A variety of tow bars from well know manufactures like Brink, Bosal etc, available to purchase from our garage. Call us on 01 473 3331 or 01 473 2380 with your vehicle details, or if you passing by, drive into our garage on 371-385 South Circular Rd, Rialto, Dublin 8 for a no obligation price quote.